Our mission through Kids Ballroom Dance Lessons is to cultivate social awareness. The program will teach mutual respect, confidence and self-esteem in children through the practice of social ballroom dancing. Dance Passion Classrooms is a syllabus based program which utilizes ballroom dancing as a vehicle. It will also develop sound social skills, self-confidence and self-esteem in 5th through 10th grade children. The main focus of the program is to be a catalyst for positive change for the children, teachers and parents. Every course will be 12-week (24 class) sessions. In this program Dance Passion Instructors will inspire each child to bring out the best in themselves. The children will also learn to move confidently across the floor to music. The children will learn the vocabulary and basic steps of Tango, Merengue, Rumba, Swing, Waltz, Cha Cha and Hustle. At the end of each course they will present a small routine to their parents. The maturity necessary to dance with a partner fosters respect and teamwork, and as a result leads to better social relationships. Thus, Dance Passion Classrooms is not just about teaching ballroom dancing. The ballroom dancing is also a tool for getting the children to communicate and cooperate effectively. Learn about themselves and each other as they work towards a common goal all while having fun. The Ballroom Dance Classes brings positive emotions and also helps to encourage anti-bullying behavior, as well as improved grades. Indeed, this curriculum integration often leads the children to demonstrate a marked increase in creativity and critical thinking. We believe that ballroom dancing will teach each child life lessons that will stay with them for years to come. In conclusion, our teaching philosophy is one of inside out versus outside in. The program is not just about teaching dance, it’s about teaching pride, confidence, and respect. We take the dance that is inherent in children’s bodies and help them embrace that power. We encourage and enable our students to discover the best of who they already are. Here at Dance Passion it is not just about teaching ballroom dancing. The dancing is also a tool for getting children to communicate and cooperate effectively, while also learning about themselves and others as they work toward a common goal; all well having fun of course! Each child will learn the popular partner dances seen on TV, and in addition, they will present a routine to their parents. This program will be starting soon. Keep your eyes peeled for the date! Monthly Tuition is $ 150 for the first child and $100 for the second child of the same family. A certificate will be awarded to each dancer upon successful completion of the program. After completion of this program they will receive a certificate for preliminary level Bronze. 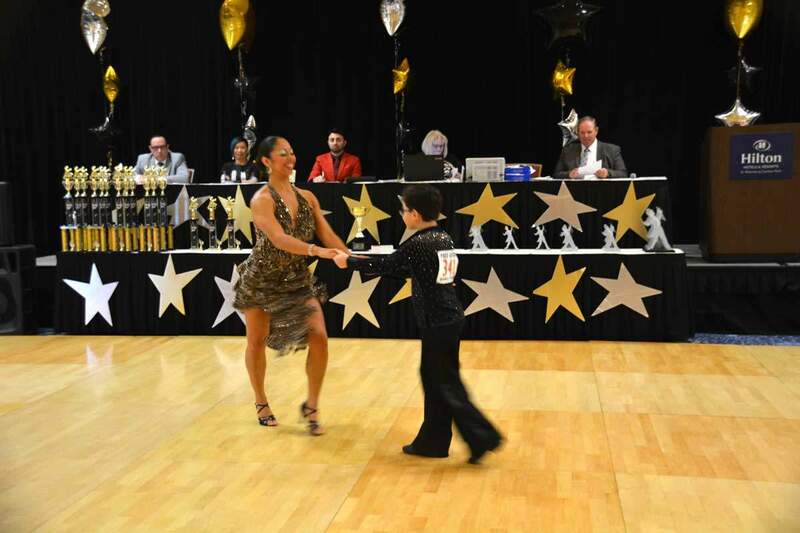 Kids who are interested in competing will be able to attend ballroom dance competitions.